It was a whirlwind few days of sporting activities across both Watoto Bbira and Suubi Villages over the weekend (13 & 14 November). Kicking off with the rugby, basketball and finally cricket we bring you the latest direct from the field. The odds were stacked against us to say the least. 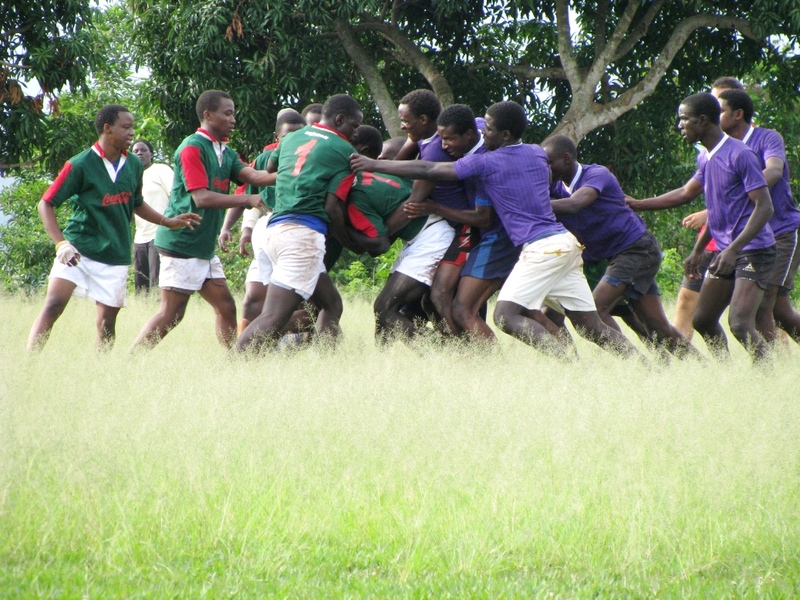 Playing noted rugby school St. Lawrence Paris with a rookie team that had never even heard of rugby four months ago, tensions were running high as Watoto took to the field for the very first time. Running 30min halves and ten to a side, the game drew a large crowd that had picked St. Lawrence as the winners before the game had even begun. The St. Lawrence side started the game with an attacking stance, pushing our boys to fight back in defence in order to hold them outside the try line. Shortly into the game, Captain of the Watoto team, Paul, scored a magnificent try due to the careless handling of the ball by the opposing side. Followed shortly by a conversion and later a penalty the Watoto side’s outstanding defence and sheer determination led them to victory with a 10-5 win. And no one was more surprised than the Watoto coach, Teacher Tim Manson (from New Zealand). Training hard with the team for over four months whilst teaching them a sport they had never even seen played before, was a challenge that beckoned this rugby fanatic. Over 100 Watoto students turned up in force to support Watoto play basketball in a game of spills and thrills against St Lawrence Paris on Sunday afternoon. Making the almost 5km trek on foot to the not so nearby school meant that the Watoto supporters arrived in a jolly mood with plenty of vocal power on hand to cheer the team along. 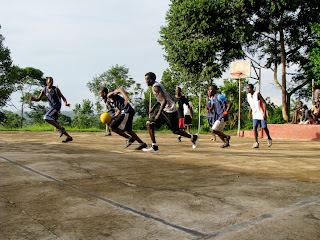 Played by a team compromising of students aged 16-20, the games only three pointer was scored by the youngest member of the team, 16 year old Bigira! Point for point the game continued in a nail biting match that culminated in a final score of 54-59 to St. Lawrence. Coach Ken Akena, also fondly called AK; had the dual role of refereeing during the game and was very proud of his teams efforts. Of course with that many Watoto kids in the stands, one has to mention the off court activities that proved especially entertaining. Sports Coordinator and Teacher Albert had the crowd in hysterics after he used a vuvuzela that was stolen from the opposite side and started blowing on the horn. All in all a very entertaining afternoon – on and off the court. 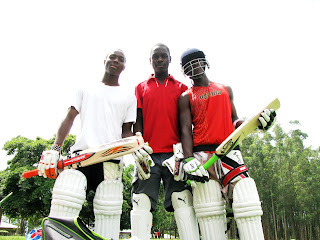 A generous donation made by Cricket Australia and the Horrocks family have meant that Watoto kids playing cricket this year are now kitted out with the finest of sporting gear and equipment. Coach Mitch Horrocks was thrilled with the delivery. 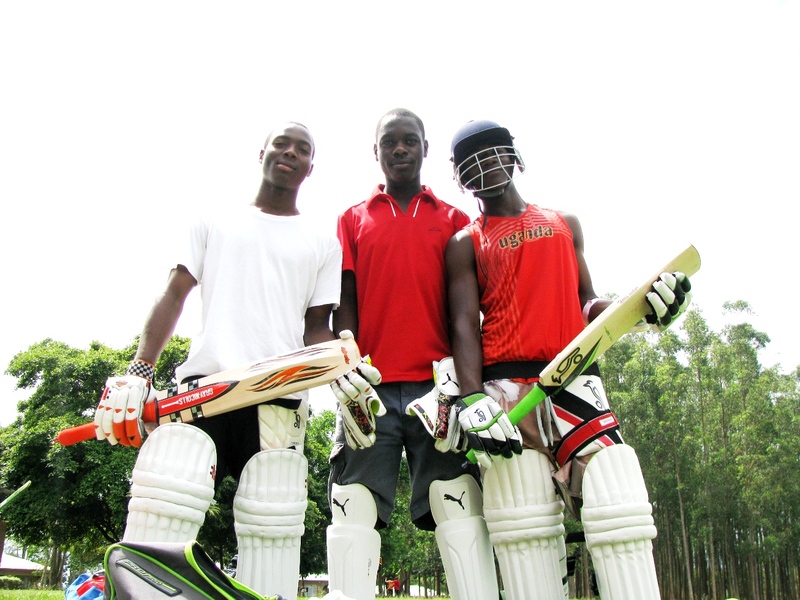 “With the gear we have received today, we can go on to teach the kids a more professional standard of cricket, increase their passion for the game and attract further players to join the team, he said.” Bats, pads, helmets and balls were among the loot opened by the eager children on Saturday afternoon. Completely overwhelmed by the generosity of their Australian friends, the kids didn’t even know where to start when it came to trying on the new clothes, knocking in the new bats or hitting the field for a game. What a great investment into the sport and one we are supremely grateful for! Raising little kids in Kampala, Uganda.